There are only so many hours in a day. And if you want to know what those hours actually went towards, you need a time tracking app because, let’s face it, no one’s memory is that good! 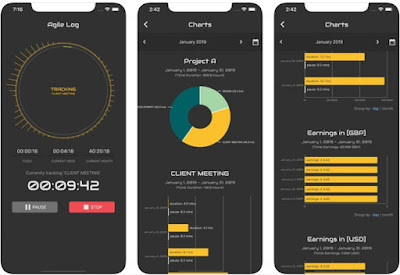 With the right time tracking app on your smartphone you can easily track the time you spend on your tasks and projects so you can focus and understand your work better. We looked and we have to offer an amazing time tracking app for these purposes. Let’s see what the app is all about. What is Agile Log all about? 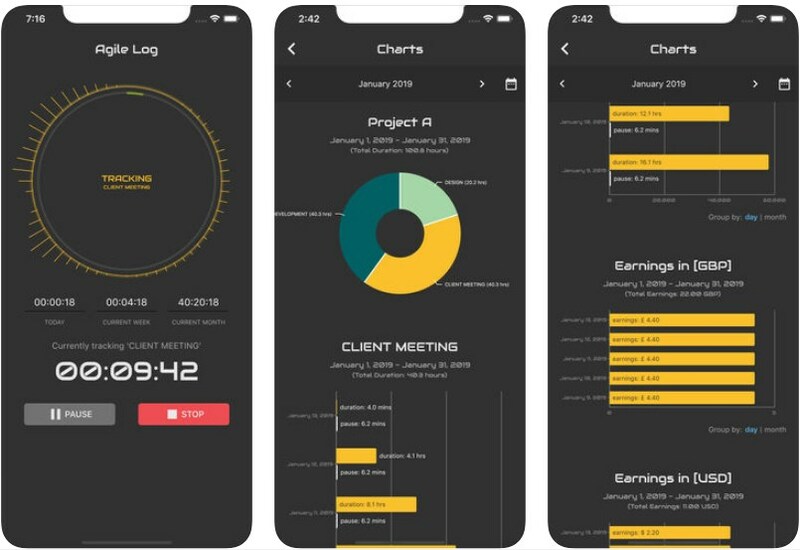 Agile Log is especially creates as one quite efficient and helpful project time tracking app that is developed for both android and iOS users that like to track the time they spend on their projects and tasks with a single tap on the app, directly from their phone. Users with the app can generate time-sheets and earnings reports easily, tracking the time with ease. On every project or task you are working on you will gain an instant overview with all the details you need to understand your work better. If you like to track the you’ve spend on your projects and tasks so you can be more successful in your work, this time tracking app is the right choice for you. The app will help you in identifying the most time-consuming tasks without much effort so you can focus and understand your projects and tasks easily. With the app, the charts will be automatically generated and your time will be tracked with ease. All time-sheets on the app are generated automatically over days, weeks or months as well. Earnings and costs reports will be generated automatically too so you can learn how much you need to charge your customers and control the project cost well. With a single tap, your time and earnings are being tracked automatically and tedious work will be done for you so you can focus only on the important parts of your projects and tasks. Download it now for free on Google Play and App Store to track the time you spend on your projects and tasks!